I finally have time to sit down and write about my experience at the ilOUG Tech Days 2015! The Tech Days took place in Haifa, Israel 9.-10.6.2015. I had three sessions to present: Database Design in Agile Projects, Reporting with Oracle SQL Developer Data Modeler and Is Your Database Secured? This was my second time in Israel (two years ago I attended the ilOUG Tech Days 2013 in Jerusalem) so I knew a little bit what to expect: fantastic food, great questions and surprisingly many women in the audience. And of course Ami and Liron from the user group to do everything they can to make you feel welcome and comfortable. And they really do a great job! I think the conference was excellent and I really hope I will have a chance to go to Israel again. Thank you for the “Bambas”! And halvas! Which tables are partitioned? Which tables are index organized? 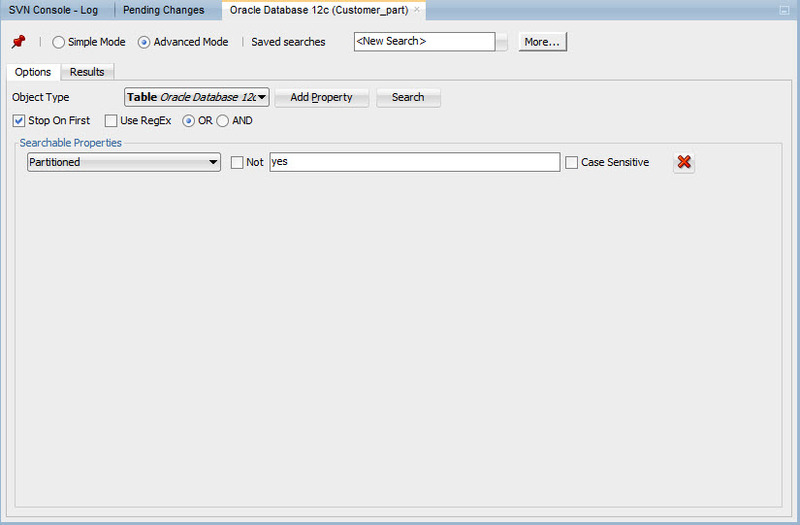 Start Search by right-clicking the physical model name in Browser and by selecting Search. 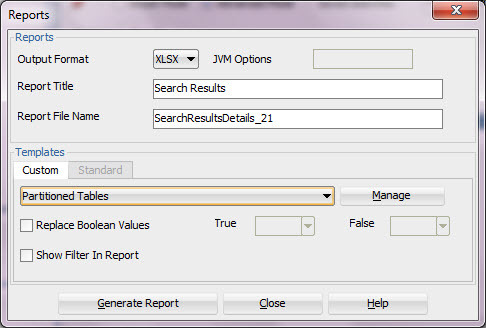 Select Advanced Mode and select Table as Object Type. 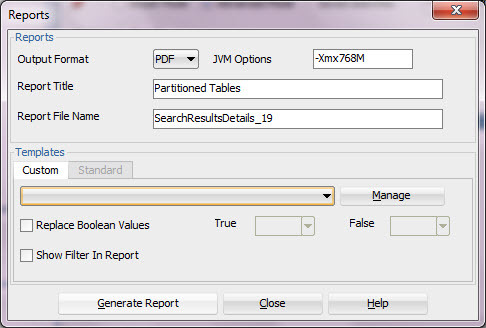 Select Partitioned as a Property and type “yes” to the value field. 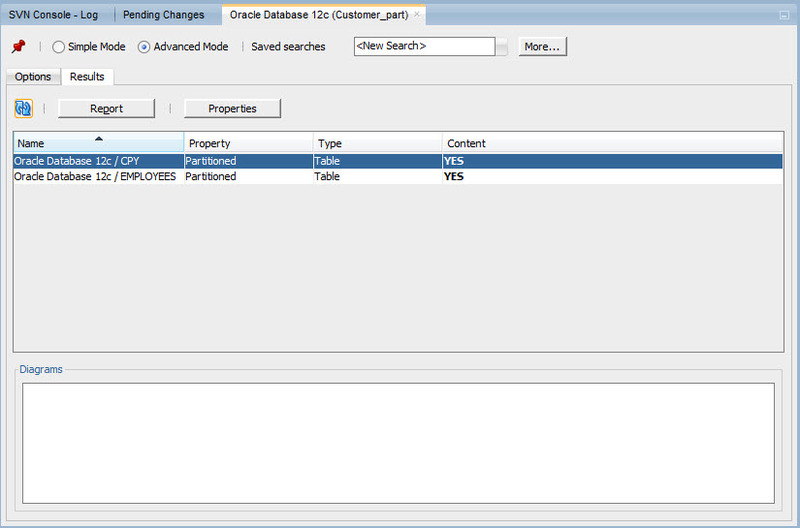 Now you have a list of partitioned tables in physical model Oracle 12c. Maybe you want to have a nice report of them? or you can use Custom Templates. In Advanced Mode select Organization as Property and type “Index” on value field. Press Search. Press Report. And either generate the report as is or use one of your Templates. And if I want to have tables that are both partitioned AND index organized? 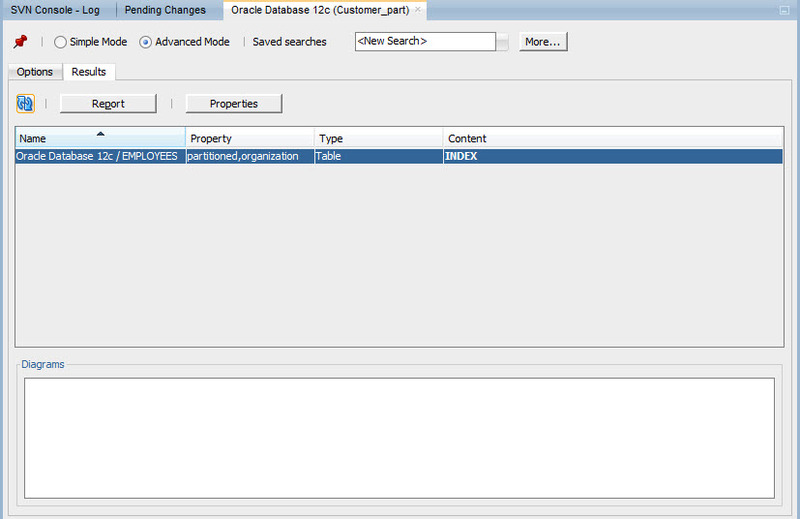 First select Partitioned=yes. 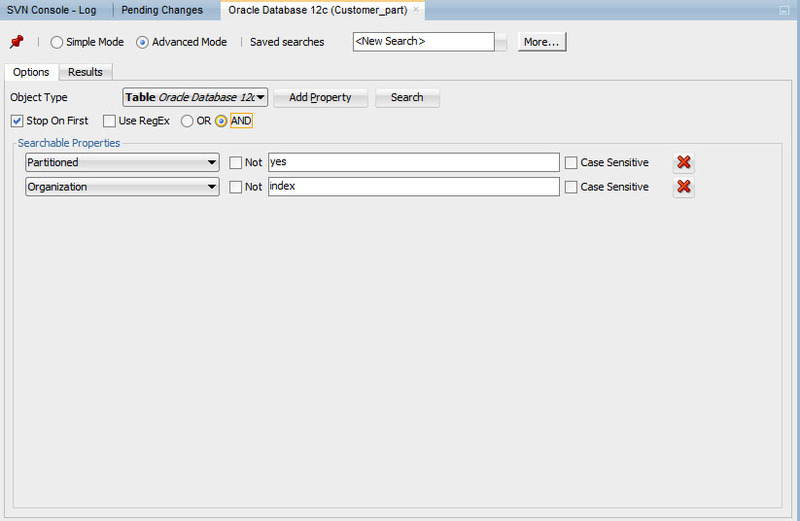 Then press Add Property again and select Organization=index. Remember to set the logical operator to AND. Then press Search. And generate the report wanted. Note: If you run the report in Microsoft Excel format you are able to edit the content in Excel and then upload it back to Data Modeler. It is easy to say BGOUG is one of my favourite conferences. Not only because Milena is a dear friend, the venue is always wonderful, food is excellent etc but because I simply love the Bulgarian audience! They are extremely interested in learning, they ask a lot of questions and the best for a shy Finn like me is that they give you wonderful face-to-face feedback. After my first session a gentleman came to me and he said he saw my session two years ago and it changed his life for better: now he knows a better way to talk to the end users to get better requirements to be able to create better databases and applications for end users. Another person came to me and said he really hope I will be there in November to share my knowledge again because he learns so much in every presentation. A lady wrote to me that she admires my work and enjoys my sessions very much. Etc. I am usually very bad with feedback: good or bad. But these people can give it in a way I do not feel embarrassed but honored and privileged. Thank you all for your nice comments! You do not know how much it means to me! I was really tired after the conference (I just realized I have not had any free weekends for two months!) but extremely happy: my travelling and speaking has a meaning! Thank you! And Thank you Philip Stoyanov for the fantastic speech! Today I will have two sessions: one about comparing designs and database (at 14:00) and another one about reporting (at 15:00). Both sessions are in Plovdiv 3. I hope to see you there! Travelling around and trying to do your job on the side is not always easy: usually it means you will not sleep much… Well here we go… and this will be a great conference as BGOUG always is! 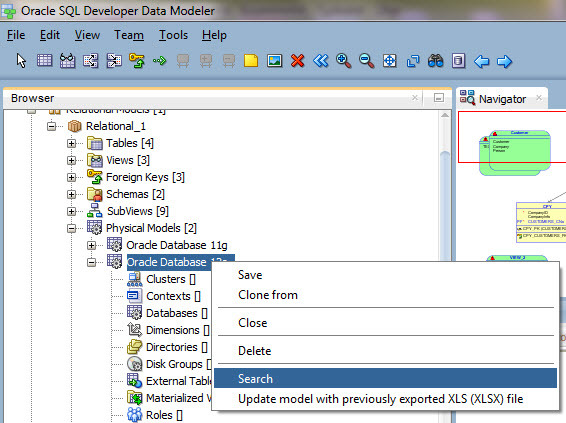 Oracle SQL Developer Data Modeler for Database Design Mastery available in EMEA! Why does my Data Modeler look different from yours? 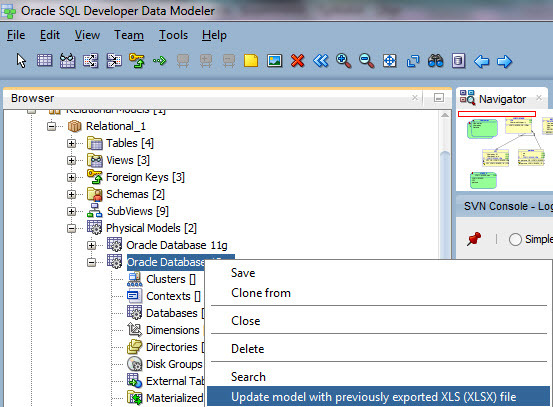 There is still some confusion on different appearances of Oracle SQL Developer Data Modeler. I hope this will explain a bit. 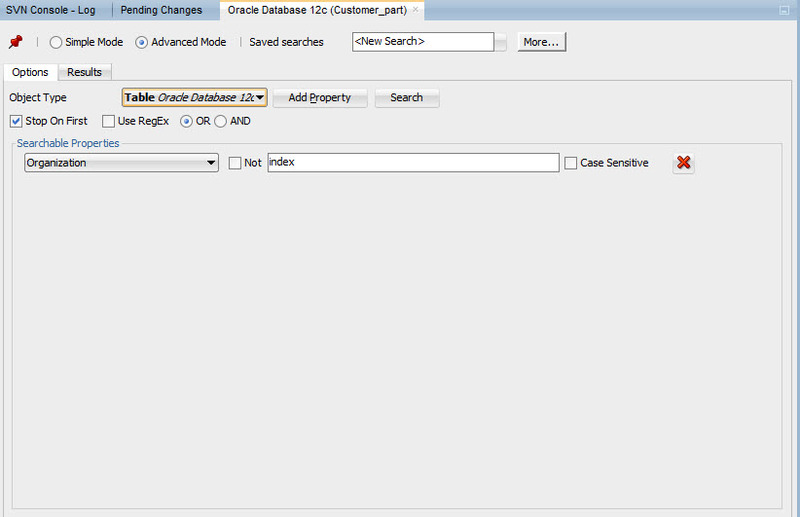 There are two different appearances of Data Modelers: the one integrated in Oracle SQL Developer and the standalone Data Modeler. And they do look different and using them is different. If you want to design the databases I would recommend the standalone version. 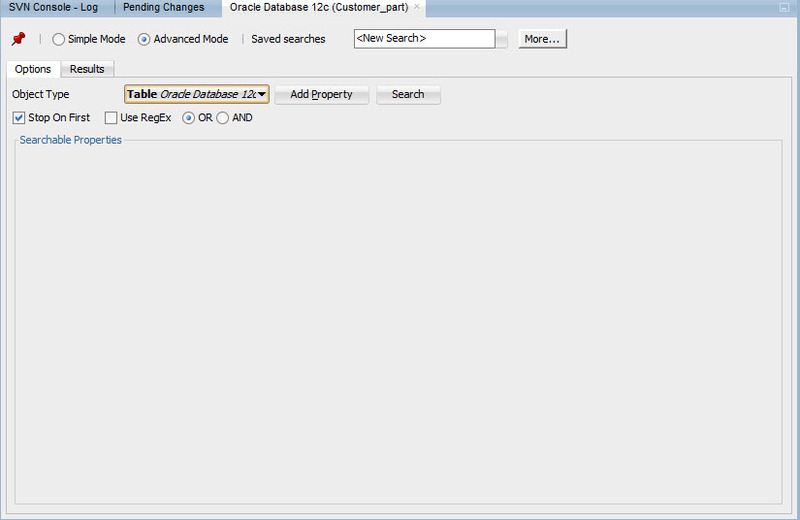 I would use the integrated version mainly as a viewer to Data Modeler. I just got back from the EMEA user group leaders’ meeting in Lisbon. It was so great to see so many amazing friends again! During the meeting we for instance agreed on the Ambassador program (DOAG and UKOUG will organize the election for new Ambassadors pretty soon) and the new and improved way of counting votes for the OOW when we select our EOUC speakers. I posted about these to Oracle community platform.